BETTER TAKE A LOOK! The covered front entry opens to a spacious living room and wide open dining area and leads to a sun-bathed enclosed 21x13 carpeted patio plus an adjoining 20x12 open patio. The open kitchen serves both the dining area and breakfast bar. Nearby is access to the finished two-car garage, full bath, and laundry room. In the sleeping wing, the roomy master bedroom features his/hers double closets, a separate access to the hall bath, and across the hall are two additional bedrooms. 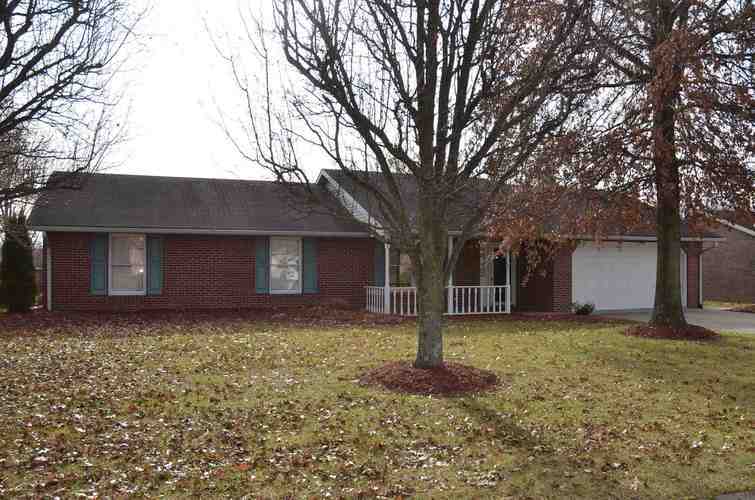 This home is located on Jasper's southeast side near churches, school and shopping...this is too good to last! Listing provided courtesy of CENTURY 21 SCHROERING REALTY.